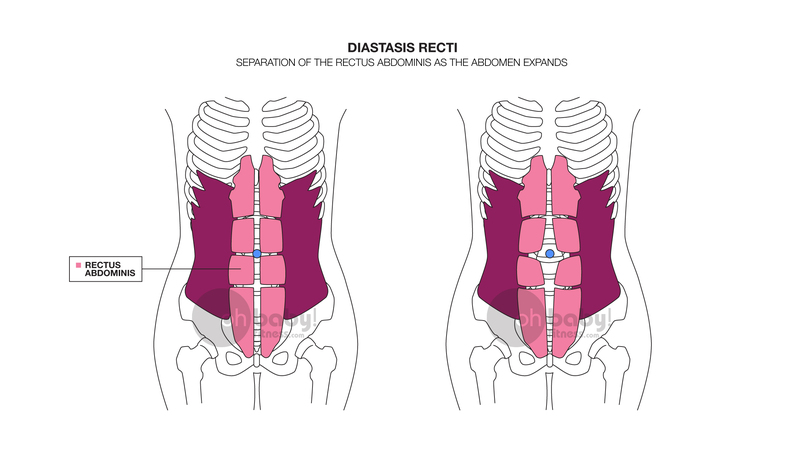 One of my biggest fears during my last two pregnancies was developing Diastasis Recti or “DA.”. For those of you who have no clue what that is, it’s the medical condition in which your two abdominal muscles split apart during pregnancy due to an excess amount of pressure on the abdominal wall. This leaves a “pooch” in your tummy after birth that is very hard to fix without some degree of surgical intervention, though it can be fixed with therapy if your case is mild enough. What are the signs of DA? A doming or buldging right around the belly button. A gap of two finger widths or more. Overweight individuals carrying most of their weight in their abdomen. Those who perform exercises incorrectly or with bad posture. Women who gain more than the recommended amount of weight during pregnancy. Women with multiple pregnancies or whose pregnancies are spaced closer together. Women who are pregnant with more than one fetus at once (twins, triplets, etc). Women over the age of 35. How do I know if I have DA? Lie on your back with your knees bent upward, as if you are in the starting position for a crunch exercise. Place your fingers right above your belly button. Raise your head and shoulders off floor as if you are performing a crunch exercise. If you can feel a gap or see a buldging, then you could have a diastasis. How can I prevent DA during pregnancy? Since most cases of Diastasis Recti occur in pregnant women, it is a good idea to be mindful of what you do physically during your pregnancy. To be honest, there is no fail proof way to completely prevent this from happening to you. BUT you can greatly reduce your chances of seeing your precious abs split in two. And if you do get DA, you can easily prevent it from getting worse. 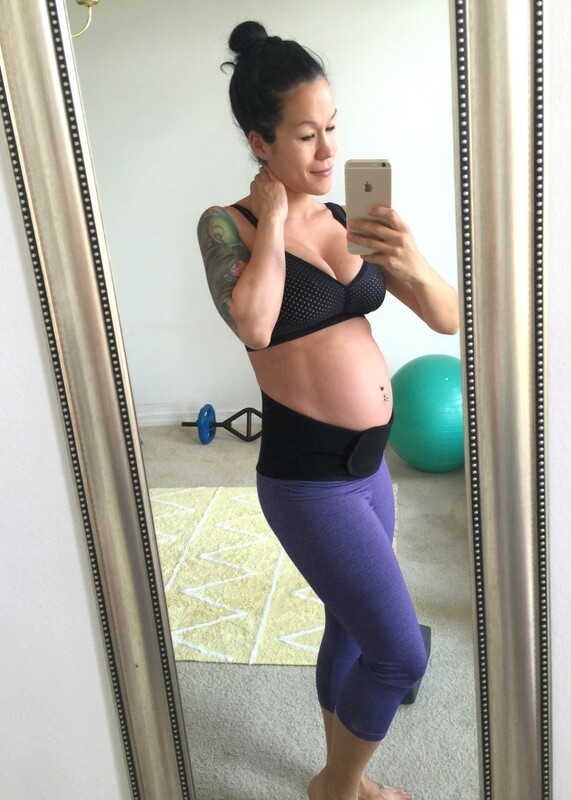 First and foremost, stop focusing on abs during pregnancy. Many people ask me why I do not work my abs during pregnancy. Diastasis Recti IS that very reason. Also, never mind the fact that there’s really no point in doing so. 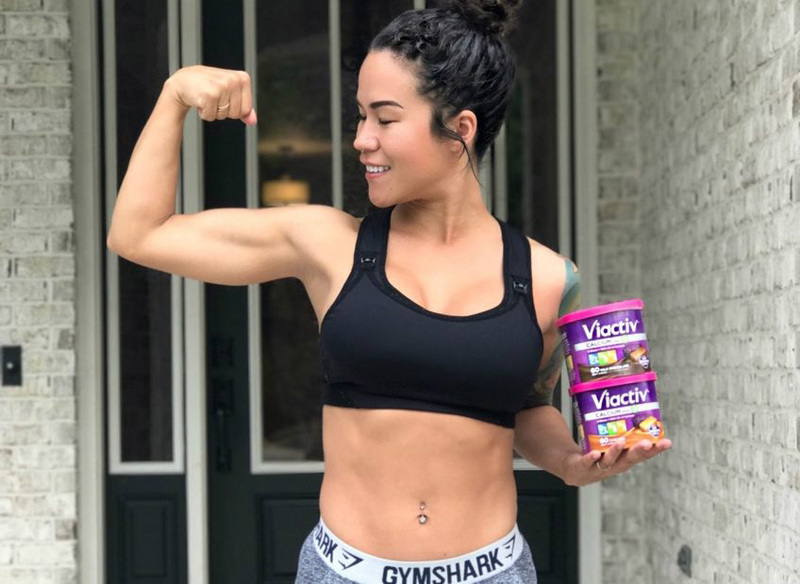 Your belly is going to grow and by doing abdominal exercises, you are risking yourself for ab splitting due to putting extra pressure on those growing abs. Some will say, “Hey, but you need a strong core to give birth.” Totally, yes! But you also need strong arms and strong legs, too. Focus on working your body as a whole during pregnancy instead of isolating one body part. I’ve noticed my abs staying tight as can be from simply running and doing cardio during pregnancy! 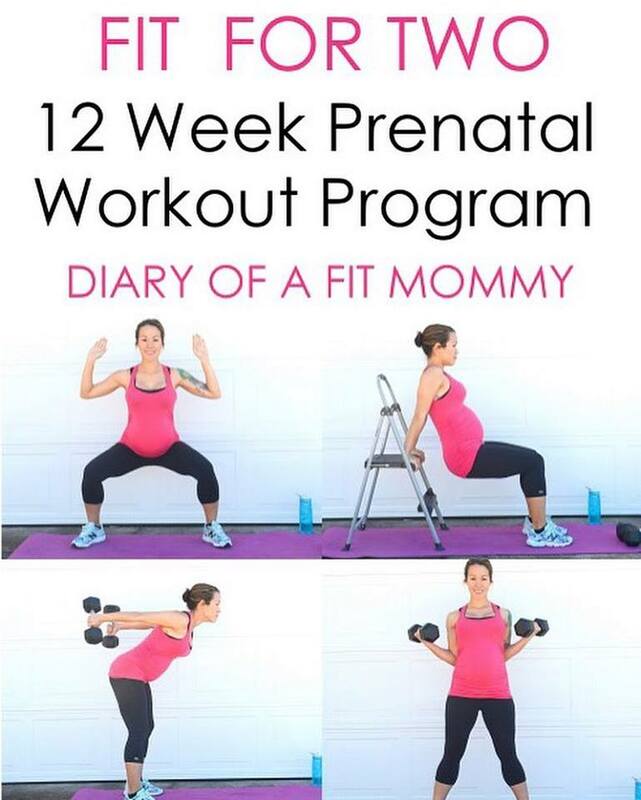 If you want a good workout guide to help get you through pregnancy, but you are not sure where to start or what to do, check out my FIT FOR TWO: 12 Week Home Workout Bundle that is divided up into trimesters to help keep you and baby safe, yet fit during pregnancy! Wear a belly support during pregnancy. My favorite belly support during pregnancy is the Upsie Belly by Belly Bandit. 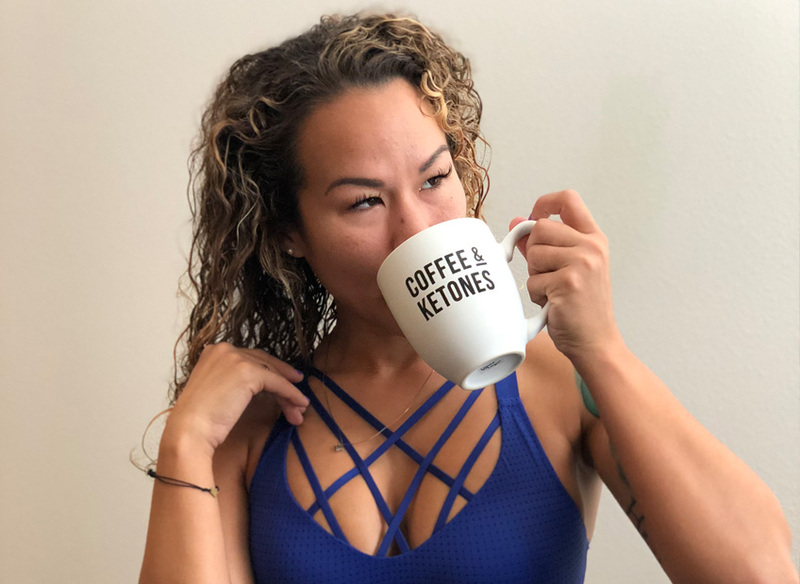 This thing not only lifts your big pregnant belly off of your bladder for instant relief and supports your heavy belly to prevent back aches, it also helps to support your belly in a way to help promote good posture. I wear mine when I sleep, when I workout, and when I go walking. Wear a postpartum girdle after pregnancy. My favorite postpartum girdle is the B.F.F. from Belly Bandit. The reason for wearing one of these magical things is the main fact that it helps to shrink your belly after giving birth. No, I am serious! 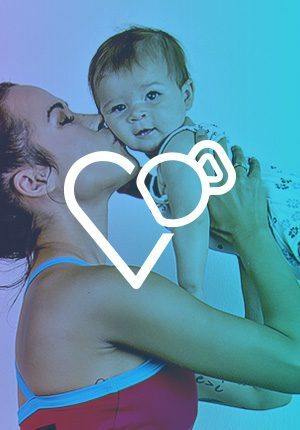 You wear it immediately after giving birth (I strapped mine on at the hospital within two hours) and it helps to shrink your uterus back down to its original size-sometimes even smaller! However, it is NOT a waist trainer so DO NOT WORRY. It is much gentler and doctors actually recommend them. So what can it do for DA, exactly? 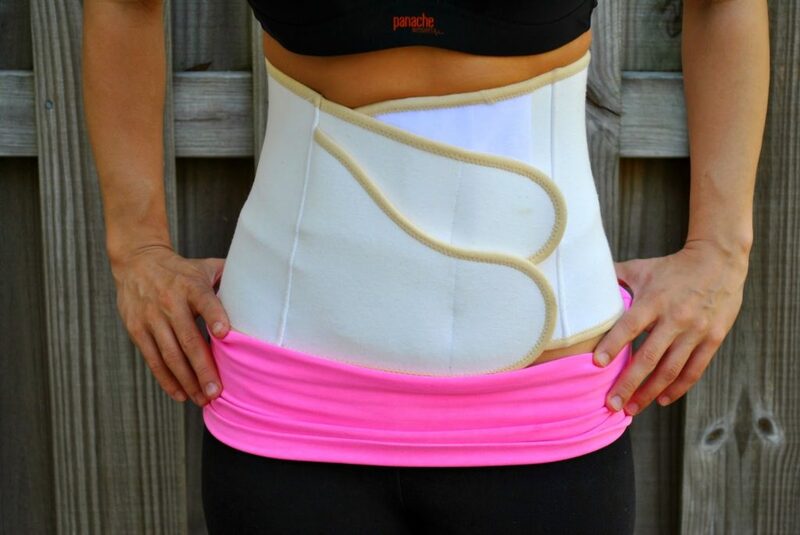 It acts as a binder to help hold your abdomen together as it heals and retracts back together. In some cases, postpartum girdles have completely healed Diastasis Recti in some ladies! Oh and for C-section mommies, the girdle is a wonderful idea because it helps to hold your incision together. The most common complaint after women have a c-section is that they feel as if their insides are gonna fall out. Yeah, you will feel snug as a bug with this! 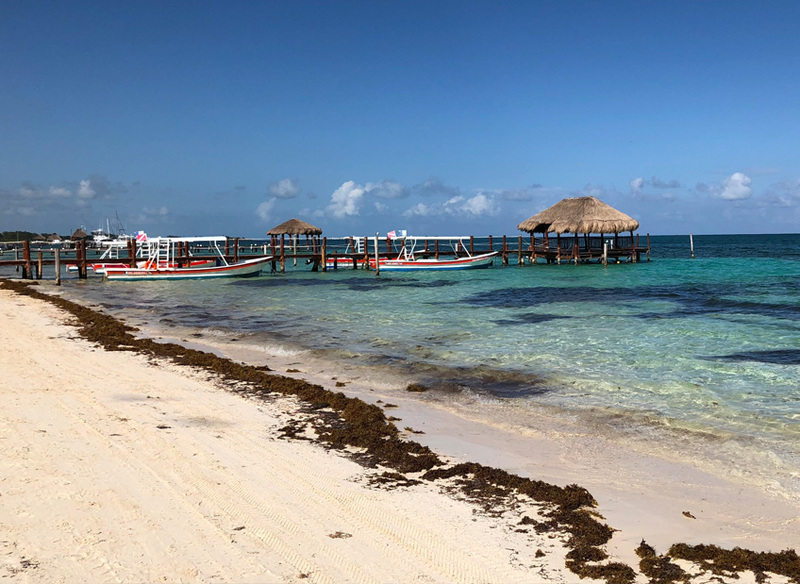 Practice good technique with activities of daily living. Your posture is everything, people. This is honestly the main way to prevent DA from every happening. Be careful with how you get out of bed in the morning. Instead of sitting straight up, try rolling to your side. When working out, be sure to use good form and to not do the moves carelessly. Speaking of working out, avoid any abdominal exercises that will put extra pressure on your abs as this is a one-way ticket to getting DA. When carrying your kids, be very careful with how you do it. Same goes with lifting heavy objects-use your legs and not your core to lift! Use kinesio taping! Lastly, you can try kinesio taping. This is a wonderful preventative measure that you can start doing halfway during pregnancy, but I would wait until third trimester when your belly gets really big. By taping your abdomen in the way you see below, you are “helping” your muscles stay together. You want to cut the pre-cut tape strips in half and start taping from the top down at a criss-cross style pattern. You will pull the top of the tape as you tape across. 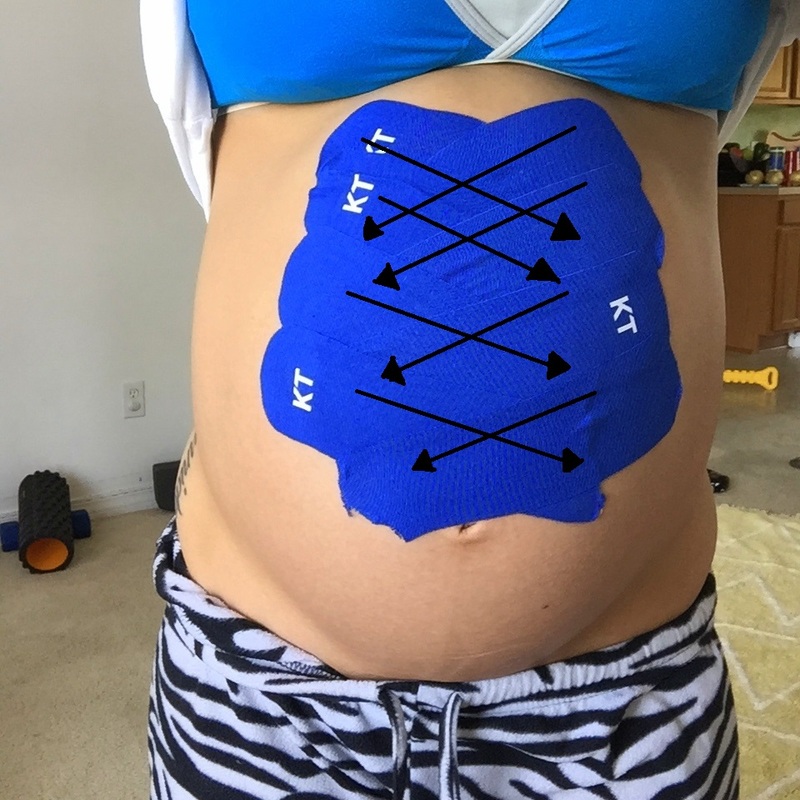 For more info and methods on how to kinesio tape your belly during pregnancy to relieve back pain, sciatica, bladder pressure, and even diaphram discomfort, click here. For those wondering where to buy kinesio tape, I personally purchase my tape here in bulk! I know it can be super stressful to think about getting Diastasis Recti during pregnancy, but do your best to remember good body mechanics and try not to stress it too much!